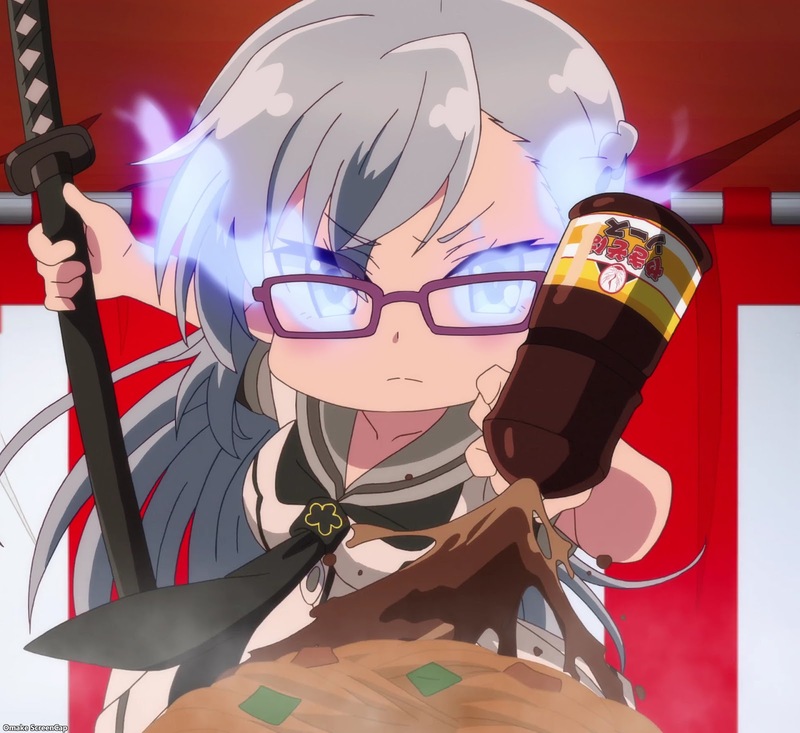 As Chie made yakisoba at the Katana Maidens' festival stall, Kaoru emphasized to Hiyori that the "flat sisters" will never bounce like she does. Miyura used her sense of timing and proportion to add yakisoba sauce to the noodles at the exact moment they needed them. What a nice 10 week ad for the mobile game coming out.